Gradle is an open source build tool, builds upon the concepts of Apache Ant and Apache Maven, can be used to build Java, C/C++, Python, Android, etc. 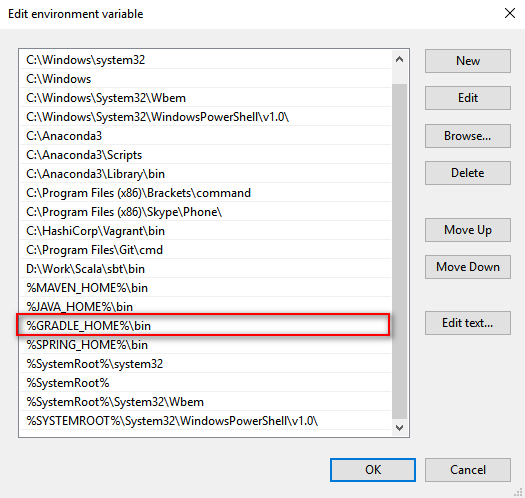 In this tutorial, we’ll show you how to install Gradle on Windows so that you can get started to explore more features of Gradle. 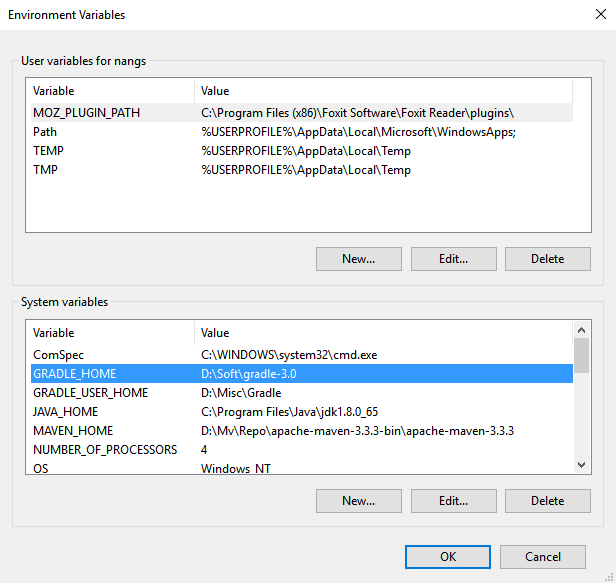 2.2.1.In Windows 7, right click My Computer and select Properties > Advanced. In Windows 8, Windows 10, go to Control Panel > System > Advanced System Settings. 2.3.1. Select the Path variable and click Edit button.